The Indian Government intensified the benefits of Aadhar Card. It is necessary to provide correct details of the Aadhar Cardholder to access the benefits. If in case there is any mistake on the Aadhar Card, you need to get it rectified. Other details like residential address and contact number likely get changed in course of time. For any reason, the contact number linked with your mobile number is vital. Every Aadhar Cardholder must update the mobile number to get real-time alerts. If you want to change the registered mobile number linked with the Aadhar Card, you can get it done online. Follow the steps to change the existing mobile number with a new one. Step 1: Visit the official website of Aadhar Card https://www.uidai.gov.in and click on 'Address Update Request Online'. Step 2: Scroll down to bottom of next page. To submit your update/correction, please click on 'Proceed'. 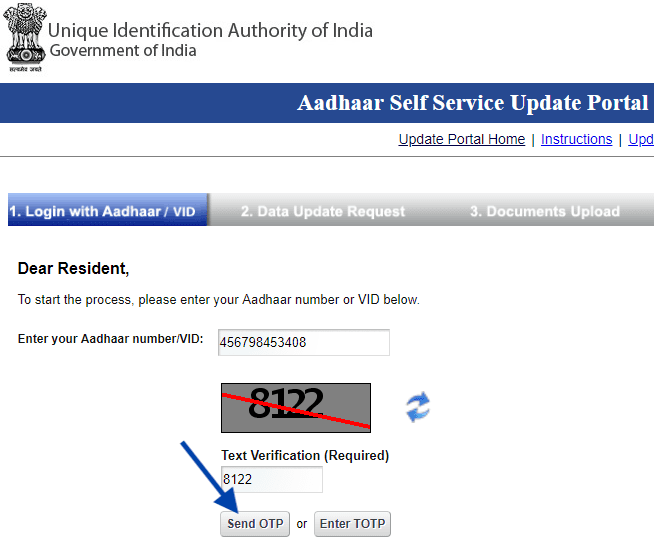 Step 3: You will get directed to a new page where you need to enter the Aadhar Card number and a verification (Captcha) code. Click on 'Send OTP' button. 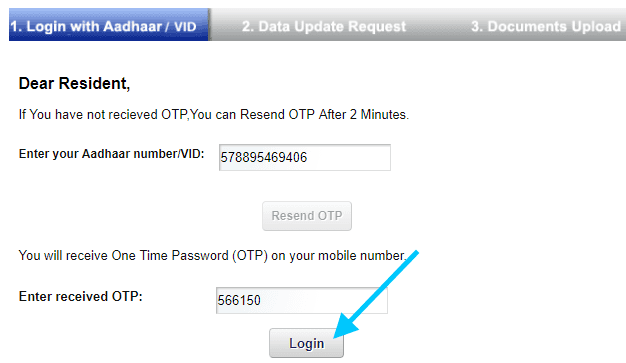 Step 4: You will receive the OTP on your existing mobile number. After entering the OTP in the provided box, click on 'Login' button. Step 5: A new page will appear on the screen where you can update the new details. Select the 'Mobile Number' tab featured under the 'Select Fields to Update'. Click the Submit button to move to next step. Step 6: Enter the new mobile number and click on 'Submit Update Request' button. Step 7: Select to confirm the details you have provided and click the Proceed button. Step 8: Now you will receive a one-time password in your updated mobile number. Enter received OTP and click the Submit button. Your request for change will get submitted successfully and a message will display a note stating completion of the process. Further, you will also receive the notifications on the new mobile number as provided. 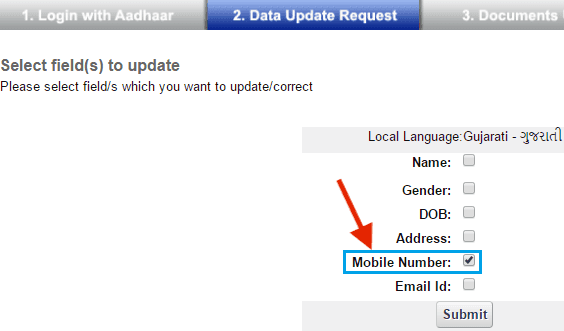 So you have changed mobile number in Aadhar card online without any hassle. Important Note: If you have not registered mobile number, then first you have to register mobile number to update any details in Aadhar card online.